11.02.2019 11.02.2019 ~ Đào Thu Hằng	~ Bạn nghĩ gì về bài viết này? 2018 was the fourth warmest year since records began in 1880, according to studies out today from NASA, the UK Met Office, and the US National Oceanic and Atmospheric Administration (NOAA). Record-breaking: The NASA study found that Earth’s global surface temperature last year was 0.83 °C warmer than the 1951-1980 mean. That temperature was topped only in 2016, 2017, and 2015. The data shows that the last five years are collectively the warmest ever recorded, while 18 of the 19 hottest years have taken place since 2001. The NOAA study, which uses a different methodology, agreed. 21.01.2018 21.01.2018 ~ Trần Đình Hoành	~ Bạn nghĩ gì về bài viết này? © Loic Venance, AFP | Dry river bed of the Loire in Montjean-sur-Loire, western France, on September 7, 2017. 06.01.2018 ~ Đào Thu Hằng	~ Bạn nghĩ gì về bài viết này? insideclimatenews_The loss of sea ice may be weakening the polar vortex, allowing cold blasts to dip south from the Arctic, across North America, Europe and Russia, a new study says. When winter sets in, “polar vortex” becomes one of the most dreaded phrases in the Northern Hemisphere. It’s enough to send shivers even before the first blast of bitter cold arrives. New research shows that some northern regions have been getting hit with these extreme cold spells more frequently over the past four decades, even as the planet as a whole has warmed. While it may seem counterintuitive, the scientists believe these bitter cold snaps are connected to the warming of the Arctic and the effects that that warming is having on the winds of the stratospheric polar vortex, high above the Earth’s surface. Here’s what scientists involved in the research think is happening: The evidence is clear that the Arctic has been warming faster than the rest of the planet. That warming is reducing the amount of Arctic sea ice, allowing more heat to escape from the ocean. The scientists think that the ocean energy that is being released is causing a weakening of the polar vortex winds over the Arctic, which normally keep cold air centered over the polar region. That weakening is then allowing cold polar air to slip southward more often. 10.12.2017 08.12.2017 ~ Đào Thu Hằng	~ Bạn nghĩ gì về bài viết này? Venezuela is likely to be the first country to lose all of its glaciers, but unfortunately it will not be the last country. Humboldt Glacier, 14 December 2011 (Source: The Photographer/ Creative Commons). Venezuela used to have five glaciers. Today, only one remains. 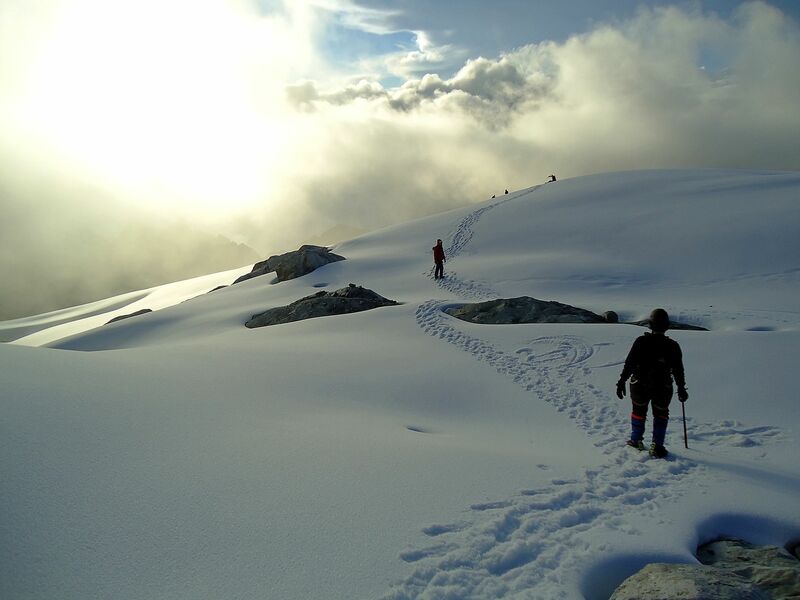 The last glacier in Venezuela, the Humboldt glacier, is about to disappear. “Reduced to an area of ten football pitches, a tenth of its size 30 years ago, it will be gone within a decade or two,” reports The Economist. Once Venezuela loses the Humbolt, it will become the first country in modern history to have lost all of its glaciers.